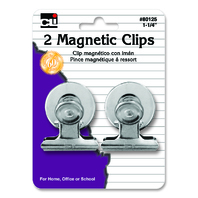 Versatile clips feature strong spring action and rust resistant finish. Ideal for bulky materials. Large magnet on back for easy positioning.